The goal of this startup online marketing package is to give you the opportunity to learn the essentials to advertise your business on the internet. You will learn how to use keywords that support optimization techniques and help your website to rank when customers search for products or services that you offer. You will be shown techniques that help your website to rank in the search engines. Drive traffic to your website, organically. Learn strategies to help your website contribute to your growth and increased income. Use of various codes and layout coding if you take the optional/bonus Website Design Course. Hiding from the search engines. Avoiding getting your company black-listed. Utilize hands-on learning while watching a live demonstration. Implement the use of branding identifiers including: target markets; product/service descriptions; and competitive differentiators. Identify your business' strengths and weaknesses. 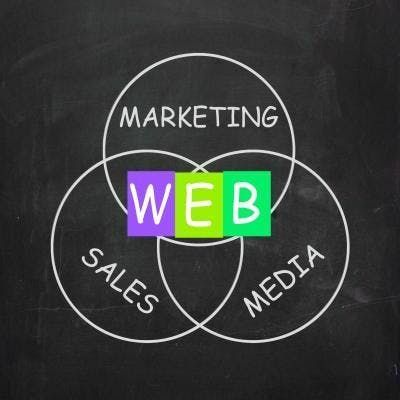 Implement and utilize a SWOT analysis in your online marketing strategy. Learn which sources to use to for constructive brand feedback. Selecting the essentials for your company and online marketing: company name, domain name and professional use of email address and phone number. Build a brand for your business online. Social media marketing. Incorporate social media and use strategies to minimize conflicting employee's social media. Startups. Small Business. Medium-sized business. Self-employed. Startup Online Marketing Package - learn the essentials to advertise your business on the internet. Small Business Online Marketing Bootcamp - learn how to fully market your business online and stop using old school methods. Web Design Course - learn how to create a website for your business. e-commerce Web Design Course - learn how to sell and market your products online. Customer Relationship Management (CRM) Course - learn how to organize and create activities for your customers and prospects. Email Marketing Campaigns Course - learn how to connect with your customers and prospects to drive sales using email marketing campaigns. How to Make an Online Commercial - make a rockin online commercial for your business! Low Cost Internet Advertising - blast your business online to get as many customers as possible. Branding & Maximizing Your Online Visibility - a successful marketing strategy includes branding your business. Internet Marketing Plan Course - learn how to develop a strategy for your online marketing, includes resources to help you be successful with digital advertising. Website Optimization - make sure your website shows up in search results! Mac users (Keynote) - learn how to use Keynote to make presentations and videos for online commercials. Click here for full course catalog. Refer to zarlun.com for all course details and policies.